The optimum choice for defeating reinforced targets. 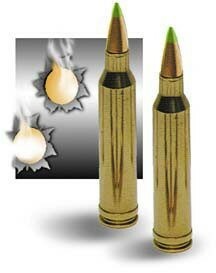 This Lake City XM855 (SS109)is delivering a 62 grain bullet at 3100 FPS. We have been able to secure a Limited Supply of this scarce ammo. Designed for firearms in good working order only. Perfect for your AR-15/M16, Ruger Mini-14, HK93, Rem 700, etc. This ammo is restricted in the following cities and/or states: All of Alaska; Los Angelos, CA; Sacramento, CA; San Francisco. CA; All of HI; All of IL; All of MA; NYC, NY; Bronx, NY; Brooklyn, NY; Manhattan, NY; Staten Island, NY; Queens, NY; Washington D.C., APO & FPO Addresses, No PO boxes.